Gone are the days when one had to put a manual efforts in order to operate his traditional Driveway/Entrance Gate. Convert your traditional hinged or roller Gate to Electric powered motor Gate. Electric Gates are the choice of time. Why come out of your premises or vehicles just to open or close your Gate, when you can do it with a single click of a button. We at Genius Designs, are a one stop shop for all your Electric Gate or Automatic Gate needs in Houston and all other surrounding areas. Since 1990, we have served countless customers in the Texas region to make their home or business premises more safe and secure. Electric Gates with access control system are one of the best combinations to keep your premises safe from unauthorized access. There are varieties of Access control systems available in market to integrate with Electric Gates like, Key Pad Entry, Card Reader Entry, Biometric Entry, Door Intercom Entry and Telephone Entry. All of them have some pros and cons. Choosing the best suitable is a real hectic task. It's better to consult a professional before you final any of them. We at Genius Designs value our customers and have enough time to listen them. Our experienced team of Gate technicians can understand your needs of Electric Gate and the Gate with Access control system, what we are going to suggest, would best suit your specific needs and requirements. Based on functioning of electric motor, Electric Gates can be categorized into two broad categories. These are Electric Slide Gate and Electric Swing Gate. Both types of Electric Gates are equally famous and high on demand. Electric Swing Gate: It is most famous and widely seen Electric Gate. It needs more space then of Electric Slide Gate in order to open or close. The space it requires for functioning is equivalent to the width of the Gate itself. Electric Swing Gate can be of two types, Single Swing Gate or Double Swing Gate. Electric Slide Gate: Its equally famous like Electric Swing Gate. The motor pulls the Gate horizontally parallel to the wall, until the opening is completely clear. These are preferable to use in areas with less opening space. These Gates are widely installed on Parkings, Driveways, Homes, Oil Fields and Industries. Electric Gate motors can work with both types of Gates, but what you choose completely depends on your requirements and needs along with the available area for Gate installation. Are you considering to convert your traditional manual Gate to Electric motor Gate? 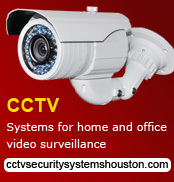 Think of the most reliable and experienced workforce and Electric Gate Engineers at Genius Designs in Houston. Our exceptional knowledge backed by 24 years of long experience make us the first choice among our home and business customers when it comes to Electric Gate installation, repair and service needs. Each or our customer value us and their satisfaction is our main objective, to achieve the same we provide our best services at very affordable price. Get in touch with us, we assure our best attention and services at all times.